Today’s Rowing WOD is an opportunity to practice mental toughness and pacing. When you feel fresh in the beginning try to remain efficient and don’t blow up. The goal is to keep an even pace all the way through. 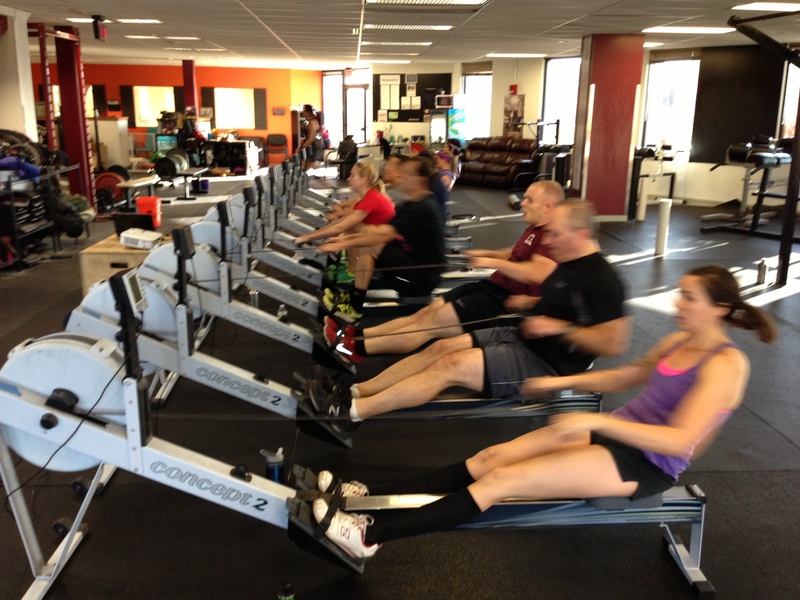 Try to pick one split and hold it for each erg piece. Also have a game plan for the clean and jerks and push ups. Try to touch and go unbroken, but know exactly how many you’ll do before taking a short break. Manage your rest and keep moving. When things start to get tough and painful through the middle focus on form and have a couple of positive thoughts ready to go. Stay focused on making each rep clean and staying in the moment. Row well and work hard. Post your score, rounds + reps, to comments. This entry was posted in Fitness, Rowing, Strength and tagged endurance sports, exercise, functional movements, healthy-living, personal experiences, recruitment patterns, row 2k, rowing, sports, Strength, training by Renegade Rowing. Bookmark the permalink.